With a new program called Community Choice Aggregation (CCA), you and your neighbors increase your individual buying power through a group purchase of electricity. Even after your community joins MEGA’s CCA you have the ability to opt-out. 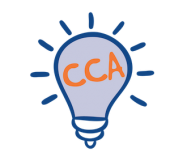 There are also opportunities to opt-into the CCA. Great job spreading the word about CCA programs! Municipal Electric & Gas Alliance - MEGA is at City Of Elmira. Municipal Electric & Gas Alliance - MEGA shared a post. Municipal Electric & Gas Alliance - MEGA is at Union Town Hall. Municipal Electric & Gas Alliance - MEGA is at Steele Memorial Library.